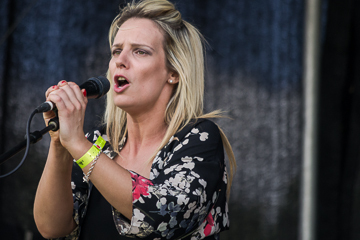 The sun was shining at York Sports Club for Saturday’s Apollo Festival. Now in its third year, and with over 50 acts playing across five stages, including headliners Inspiral Carpets, Rick Witter and Space, everything was in place for Apollo to prove why it’s the best value for money festival around. The bar was set high right at the kick-off with competition winners Fat Spatula and Beth Bryars looking at home on the main stage. Fat Spatula, winners of the Road To Apollo competition held at The Spread Eagle, started the day with a raw set of surfer punk, a sound that is becoming synonymous with York. 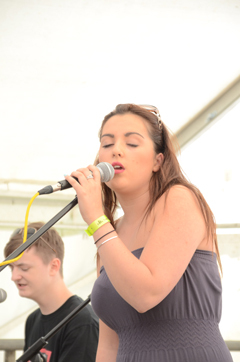 Ainsty’s Got Talent winner Beth Bryars covered a range of pop songs using her powerful operatic voice. On the Rick Witter Premiere Stage, school-aged rockers The Black Lagoons played a set of impressive originals. 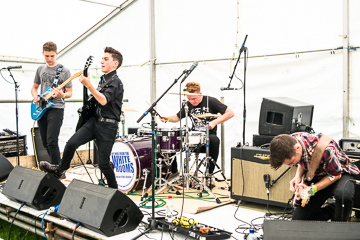 Sitting somewhere between rock and roll, blues and metal, their sound was reminiscent of the White Stripes, had they been a four-piece from Yorkshire. In the Ebor Rock Um tent, country five-piece The Rusty Pegs played a charming and energetic set. Their songs were bright, melodic and full of heart. On The Hill was simultaneously about absent friends and an ode to Yorkshire, and their set closer was a rousing shanty about pirates. 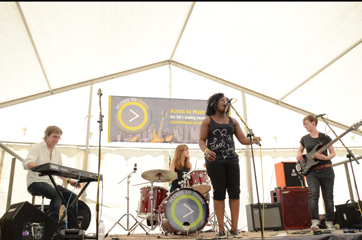 In the Access to Music tent, Barcode Zebra played a soulful set of reggae and funk. 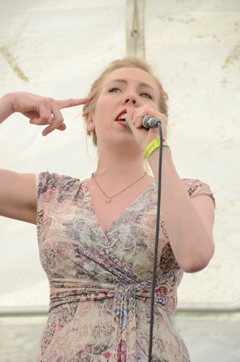 Fronted by powerful singer Jess Gardham, the four-piece truly made their case for their nomination in the Yorkshire Gig Guide awards. Set highlights were powerful ballad Hold On and the anthem Caught Out. Into the late afternoon, things were slowed down on the Premiere Stage with the melodic and melancholic Luke Saxton, who sang delicate songs full of nostalgia. This was perfectly followed on the Access to Music stage with the stripped back harmonic covers of Armonia. 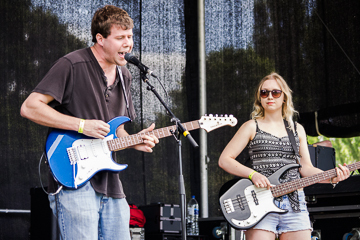 Closing the Premier stage was local indie rock four-pieceEverlate. Often seen busking in York city centre, they were equally at home on stage, playing a set full of tracks from their current EP Vitals, including the uplifting highlight Ferris Wheel Feeling. As evening drew in, the party moved to the main stage for the headline acts, Space, a Rick Witter DJ set and Inspiral Carpets. All day long Apollo Festival proved itself to be an un-missable date on the York music calendar. We can only wait in anticipation to see what next year’s festival will have in store.